You listened, you called, and you saved big bucks on the Eagle Country 99.3 and 95.3 WIKI's Holiday On-Air Auction presented by Car County in Aurora and Harrison. 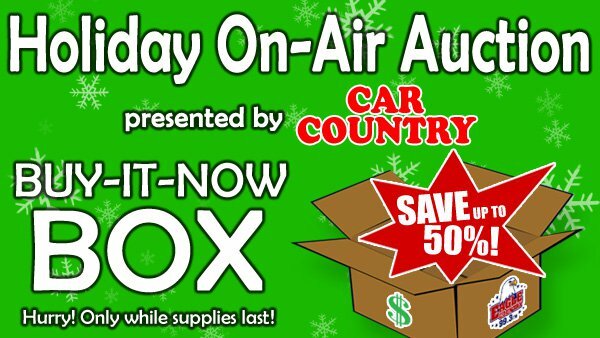 Now, you can save even more with the Holiday On-Air Auction Buy-It-Now Box at the Eagle Country 99.3 studios! We have some leftover items that we just did not have to time to get to on the on-air portion of the auction. Luckily, that means you have the opportunity to save up to 50 percent on the remaining goods, services, and gift certificates from great local and regional businesses, shows, and attractions. 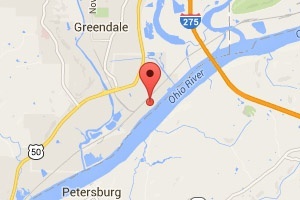 Starting November 26 and continuing for as long as supplies last, you are invited to visit the Eagle Country 99.3 studios at 20 E. High Street, Lawrenceburg, Indiana to browse the Bargain Box. Our office doors are open from 8:00 a.m. until 5:00 p.m. Monday through Friday, November 20 through December 21. Acceptable forms of payment for Bargain Box items include cash, credit or debit card (Visa, MasterCard, Discover and American Express), or check with proper ID. Items must be paid for at the time of selection from the box.